This is not an easy hair journey at all !!!! Especially when you are transitioning to natural, relatively speaking. Not only do I have to deal with my relaxed hair on my head, but also the several hair types/textures of my new growth. So I have about 3 different hair textures/types of natural hair....and let us count the straight relaxed hair at the ends! My hair journey has been a frustrating one.....from time to time. I knew it was not going to be simple and easy. I noticed that I experienced a lot more tangles with the RELAXED hair as my NATURAL hair grows longer. 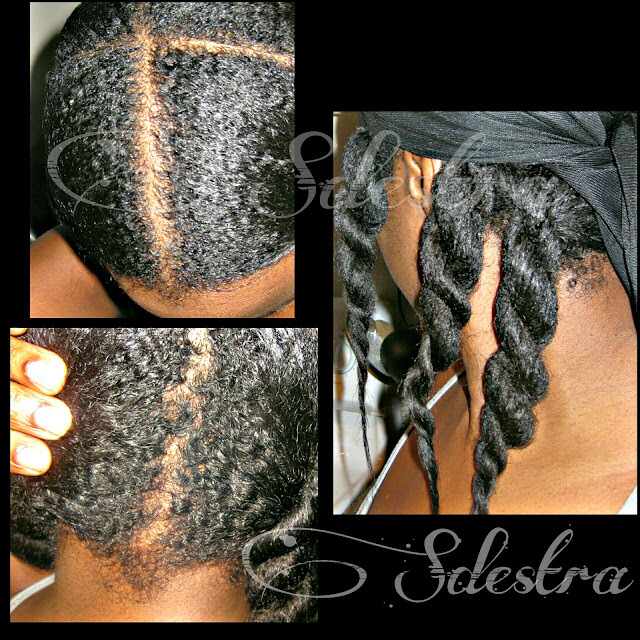 The areas that were the worst were the relaxed hair that was attached to the tighter natural hair strands. I do have rough times with it. I am not going to give you a fairy tale story on how perfect it is, because it is not. But I have been managing so far with so much patience. I definitely look forward to seeing what is in store for me when I do become fully natural. 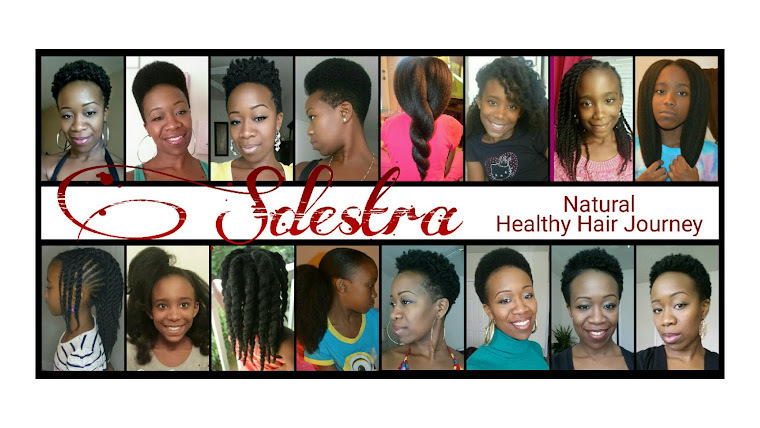 I've been there and done that with my relaxed hair journey as I mentioned before and in video. I am currently and still MBL (mid back length); the longest hair length I have ever been in my life. The longest prior to that was APL (arm pit length) which was pre hair journey, pre-haircut in 2007. I was going to try for WL (waist length) as I transition, but right now, I do not feel that there is a point. As far as my new growth, when I comb through it with conditioner, it is absolutely a joy to deal with. Goes through so smooth and....wow!!! But when it comes to the relaxed hair at the ends, it tangles up so quickly. Combing the new growth which has a spiral pattern to it will twirl as you comb, causing the straight hair attached to it to twirl simultaneously. As a result, the relaxed hair latches onto the other straight relaxed hair. Does that make sense? I do hope so... But that is what I have experienced at times if I do not use enough conditioner to give it that "slip". And it happens combing from the bottom up because all of the hair is not the same. But with patience and due diligence, I manage well. Hair shedding? Normal shedding for me. I was shedding more about 16 weeks post. But since, it has subsided a lot. Breakage? Some breakage, not much to be concerned with. I have been keeping up with my protein treatments, deep condition and handled my hair with as much gentle care as possible. Thinning? My relaxed hair looks thin when it is wet compared to the natural hair. Looks like I am holding on to "thinning" hair when it is not really thin. Edges? My edges looks good. I keep them moisturized and I smooth them down with a scarf and hands as much as I can. So much less use of a brush. If I do use one, it is a very soft brush. Hair Regimen? I have pretty much kept the same hair care routine/regimen as I have always done when my hair was fully relaxed. * I part my hair in 6-8 sections. * I detangle with conditioner and oil. * I wash in sections and in the shower as the hair is still in its' down position. * I do protein treatments every 6 weeks using the ApHogee Protein treatment. That is to avoid breakage at the demarcation line (where the relaxed and new growth meets). * I have been clipping/trimming my ends each month. A little less than half an inch, to avoid having split ends traveling up the hair shaft. * I cowash more than I shampoo, same as I did before. * I keep my hair styles very basic, loose buns, sock buns, loose French Braids, or a simple ponytail pulled to the side or back. With the exception of the hair relaxer being removed from my hair regimen, here are the minor changes. Keep in mind that as I gain more natural hair, some things will change. But so far, so good, I have been able to stay consistent with most of my products for now. I moisturize my new growth and ends a little more than before and that seems to keep my hair feeling and looking healthy. * I started doing the ACV (Apply Cider Vinegar) Rinse on my hair when I only see build up. The ACV rinse is a good way to clarify to remove product build up. It is natural too. * And I also use Aloe Vera Gel to smooth my edges too. * I have also been using the S-Curl "No Drip Activator" to spray my new growth. It works beautifully and helps my natural hair "pop". For me, it doesn't leave so much build up, which I actually expected at first, but I do not use a lot of it in the first place. Here is the link to view my current regimen. So far it has been working for me.